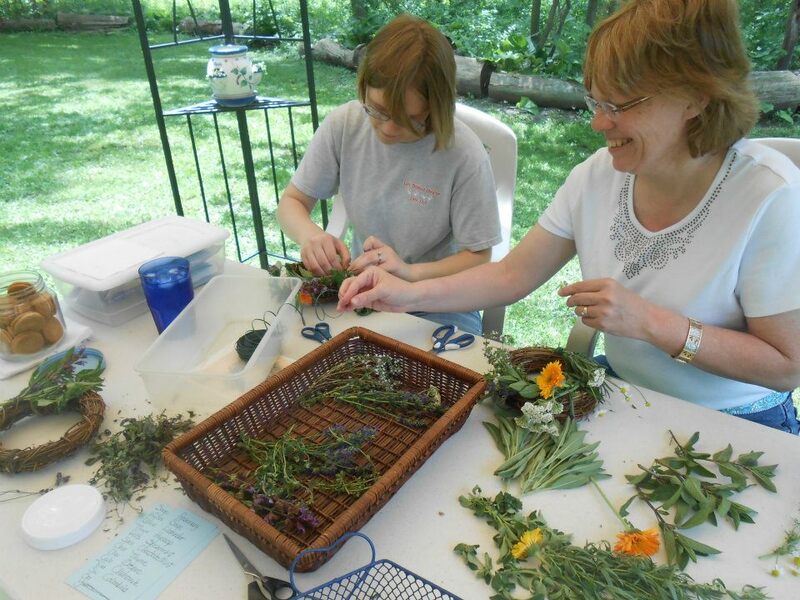 Red Road Herbs Retreat & Learning Center LLC is a place to connect with Nature, with more than 100 herbs in cultivated gardens, cozy woodland sitting areas, and stands of native plants along a rambling creek. We teach classes that are a hands-on learning experience using the gardens as living textbooks that students can touch, taste, and smell. We offer individual and group garden tours, scheduled by request. We sell fresh and dried herbs as well as a few handmade herbal products at our on-site gift shop, Our salves are available for on-line purchase and in over 25 retail locations in Nebraska, Kansas and South Dakota. Classes are scheduled throughout the season, but you can also schedule classes on a topic of your choice by contacting Rachel. In addition, she is available for presentations to groups. Come feel the healing power of Nature that surrounds you when visit. Retreats offer a chance to bring balance to your life. Our retreats offer outdoor massages, nourishing meals and drumming circles. You can also schedule a private retreat by contacting Rachel. This is the perfect place to have meetings - staff meetings, garden club meeting, civic group meetings, Girl Scout and Boy Scout meetings. It's also a perfect place for family gatherings and weddings too. The Best Herbal Salve Ever is made in small batches with herbs grown in harmony with Nature and harvested with respect. We make an original salve and an itch relief salve. We sell a variety of herbs, cultivated and wildcrafted, fresh or dried. Contact Rachel for a list of seasonally available herbs. We make a variety of herbal gift items including Sage bundles, Mugwort bundles, Sweetgrass braids, bath bags and spray mists. They are available at our on-site gift shop.